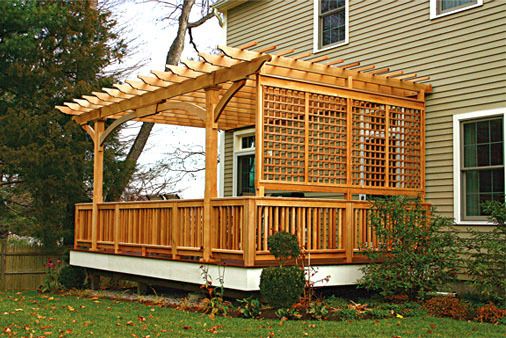 This outdoor room was created on a deck using the pergola, railing and lattice to establish privacy and define a space. When combined with plants and climbing vines a very attractive natural setting is created. 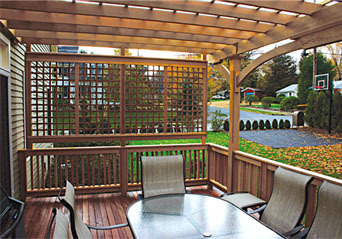 Added shade can be achieved with the introduction of fabric canopies or acrylic inserts placed between the rafters.